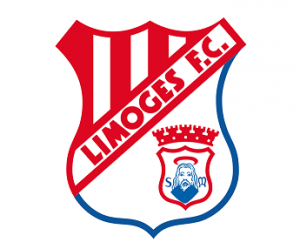 Limoges F.C. is located in Haute-Vienne, which is found in the Limousin region of France. A region with a history of valuable resources that were traded in the early days of the 1900’s to present day. The Limoges Football Club was founded in 1947 and is a French Association football team. The team is currently playing in the sixth tier of the French football league system, but this has not always been the case. Limoges FC played in the first division in the late 50’s and early 60’s, then from 97-02 the team played in the fourth level of French football, known as the Champoinnat de France Amateurs. The club also played in the 6th tier, where they finished second in the championship game in the Division d’honneur in 2010-11. The teams’ best overall finish was in division 3 where they finished first in 1976-77. The team currently plays at the Stade Saint-Lazare, which holds 3000 fans. There was a time when the club had two facilities. The other was in Beaublanc where the team played up until 1990. Limoges F.C. has produced quality talent in the region of Aquitaine- Poitou-Charentes. 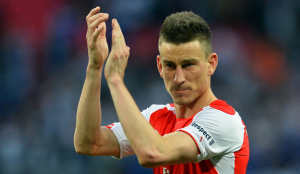 One notable player, Laurent Koscielny – a native son of France, played the 2002-03 season with Limoges and is now play for the global football power Arsenal. Other footballers of note from Limoges are: Paul Savage, Francois Remetter, Armand Penverne, yvon Goujon and Raymond Cicci. The team is currently managed by Vincent Gaudron, now in his fifth year. This is one of the longest tenures for the club, which is good for player development. The team is currently in CFA 2 for this season and the task is tall for a promotion. In this region of Limousin where the oak groves are reserved for the best Libations, and copper awaits the most famous enamels and hard paste porcelain is manufactured – you will find rare talent waiting to be discovered, polished and played.